The above animation shows the orbits of planetary bodies in Kerbal Space. It’s a demonstration of what happens when you take into account the small gravitational interactions between planetary bodies, not just the gravity of the central mass. What you notice is that most of the bodies have stable orbits, but they aren’t absolute. Instead there is a kind of wobbly dance where the orbit has small variations over time. While Kerbal Space isn’t particularly accurate in a scientific sense, its a great visual for what planetary orbits actually do. Early in the history of solar system, planetary bodies still had a great deal of variation, and sometimes underwent radical changes in their orbit. We know, for example, that Jupiter was once much closer to the Sun, and Uranus and Neptune have switched places. There may even been a fifth gas planet that was thrown out of the solar system. As the solar system matured the planetary orbits became much more stable, but there are still variations on a cosmic scale. For example, the eccentricity of Earth’s orbit varies between a nearly circular 0.000055 to a mildly elliptical 0.0679 over a 400,000 year period. It’s axial tilt varies between 22.1 and 24.5 degrees over a roughly 40,000 year cycle, and the orientation of its axis precesses on a 26,000 year cycle. 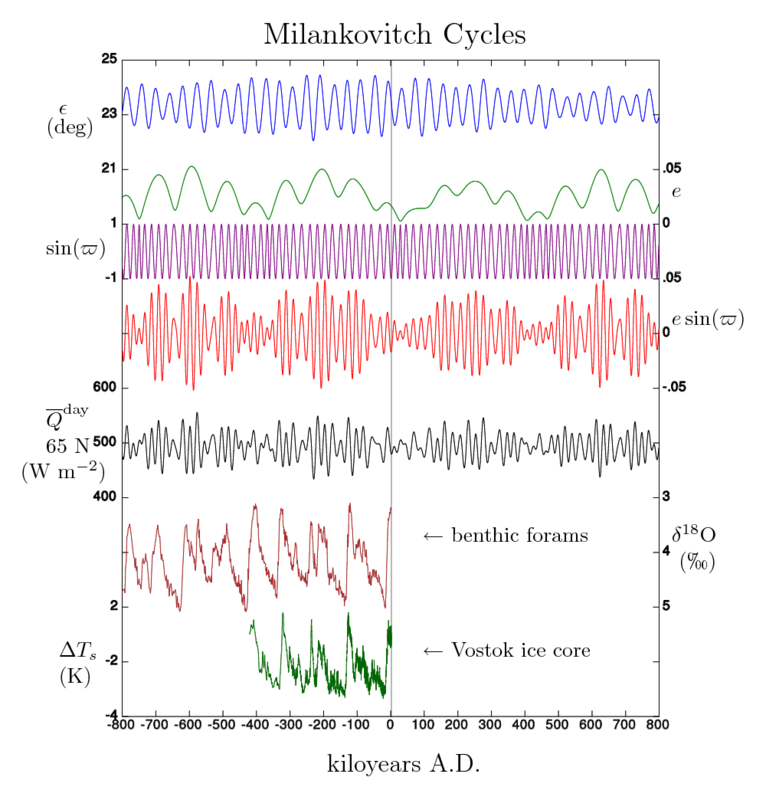 Since all of these have an effect on the severity and length of the seasons, these cycles have had an effect on Earth’s climate throughout history. These variations haven’t been huge over the last billion years, and Earth’s orbit won’t change significantly in the future, but there will always be fluctuations in its orbit. The small gravitational tugs from other planets mean that even now Earth is part of a cosmic dance. The planets themselves should be orbiting much faster in that animation. The pulsations in the orbits would happen over many thousands of orbits, not several times per orbit. But the animation does do a good job demonstrating how potentially hazardous asteroids (PHAs) keep getting replenished. Asteroids whose orbits are elliptical, and cross the orbits of the planets have their orbits dance around much like the ones in the Kerbal Sim. Here’s my own effort using Gravity Simulator to show how the orbits of several PHAs change over thousands of years.